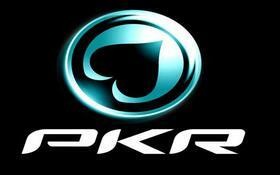 PKR Poker is one of the very few online poker rooms in the world that has never accepted US customers. The site was launched in 2006, just as UIGEA was being drafted, which caused the company to make the difficult decision of not allowing US players. All that may be changing in the near future, as PKR Poker is hopeful that legislation will legalize and regulate online poker in the US, thus allowing the company’s award-winning 3-D software their first crack at the US market. In the press release a PKR spokesman was quoted as saying, “It is still early days yet but it would be a massively exciting prospect to take PKR to the States. The whole regulation of online poker sites debate is unlikely to be resolved overnight however, but at PKR we will be watching closely as we are always keen to develop playing opportunities to improve the gaming experience for everyone”. Whether it’s at the state or federal level, it appears that online poker legislation is gaining momentum in the US, and it may just be a matter of time before players will be able to, for the first time, click on a PKR download. This entry was posted on Saturday, October 8th, 2011 at 9:27 am and is filed under Poker News. You can follow any responses to this entry through the RSS 2.0 feed. You can leave a response, or trackback from your own site.